The aim of this prospective study was to examine the etiology of post-traumatic stress symptoms following childbirth within a transactional framework of stress. Participants were women (N = 1,499) from the Akershus Birth Cohort. These women were followed from pregnancy to 8 weeks postpartum. We modeled predisposing factors (e.g., fear of childbirth) and precipitating factors (subjective and objective birth experiences) as predictors of post-traumatic stress symptoms. Post-traumatic stress symptoms were measured by means of the Impact of Event Scale, objective birth experiences by means of birth journals, and subjective birth experiences by means of three questions. A structural equation model showed that subjective birth experiences had the highest association with post-traumatic stress symptoms. Moreover, they mediated the effect of predisposing factors and objective birth experiences. 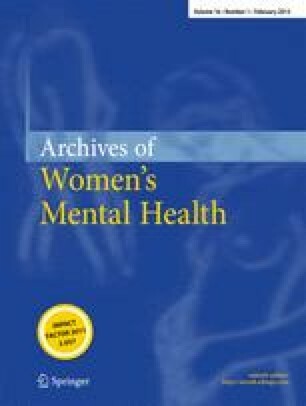 The results suggest that women’s subjective birth experiences are the most important factor in the development of post-traumatic stress symptoms following childbirth.